The issue of the liberation of Oleg Sentsov was discussed at a meeting of the Presidents of Ukraine and the United States - Petro Poroshenko and Donald Trump in Brussels on July 12, Ukrainian Ambassador to the United States Valery Chaly told a news conference held in Kyiv. 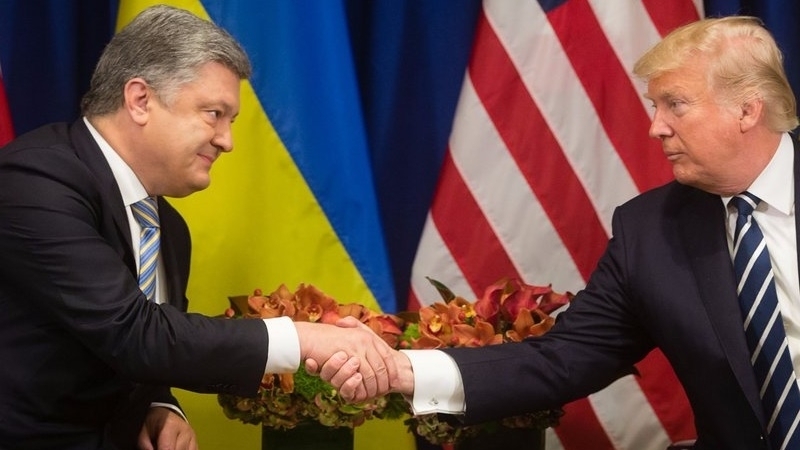 According to him, Poroshenko also raised the issue of releasing the prisoner of the Kremlin with the head of the US State Department, Mike Pompeo. The diplomat noted that the US is constantly supporting Ukraine in this matter. “President of Ukraine Petro Poroshenko at a meeting with US President Donald Trump on July 12 in Brussels raised the issue of the liberation of the illegally convicted Ukrainian film-maker Oleg Sentsov by Russia. Poroshenko asked this question directly in a conversation with the Head of US State Department Foreign Policy Mike Pompeo as well. We have support, and the United States is constantly providing it," he said. Chaly further noted that, US National Security Adviser John Bolton, during his visit to Ukraine, intends to participate in the parade on the Ukraine Independence Day on August 24 along with the President of Ukraine Petro Poroshenko, Prime Minister Volodymyr Groysman, as well as heads of foreign policy and defense departments. The Ambassador stressed that Bolton's visit and his participation in the parade are evidence of US support for Ukraine. "America shows Russia and the whole world: we are here, we will support Ukraine, we see your soldiers, we see how many lives you are giving for our and your security, and we are with you," Chaly said. Reportedly, the military parade in Kyiv on the occasion of Independence Day of Ukraine on August 24 will be attended by the authorized representative of the US President Donald Trump. On August 24, 4.5 thousand servicemen will take part in the parade and 250 units of equipment will be involved as well.